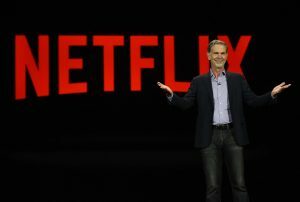 Senior fellow at the Institute on Taxation and Economic Policy, Gardner just wrote the piece “Netflix Posted Biggest-Ever Profit in 2018 and Paid $0 in Taxes,” which states: “The popular video streaming service Netflix posted its largest-ever U.S. profit in 2018­­ — $845 million — on which it didn’t pay a dime in federal or state income taxes. In fact, the company reported a $22 million federal tax rebate. “After a year of speculation and spin, the public is getting its first hard look at how corporate tax law changes under the Tax Cuts and Jobs Act affected the tax-paying habits of corporations. The law sharply reduced the federal corporate rate, expanded some tax breaks and curtailed others. The new tax law took effect at the beginning of 2018, which means that companies are just now closing the books on their first full year under the new rules. “If Netflix’s earnings report is any indication, not much has changed. Many corporations are still able to exploit loopholes and avoid paying the statutory tax rate — only now, that rate is substantially lower.